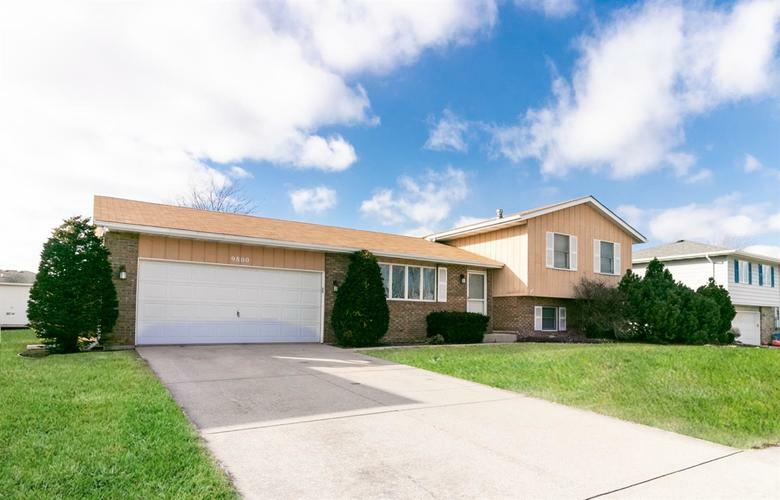 Lovely well maintained tri-level home conveniently located in Beautiful Crown Point. This home is offering 3 spacious bedrooms with large closets and new ceiling fans, Master bedroom with a double closet, new backsplash in the kitchen, lower level family room with plenty of room for entertaining, 2 skylights for natural light, Laundry room with plenty of storage space, 2 car garage, and a newly built deck with a large fenced in backyard ready for your entertaining needs. Come check out this home today as it will not last! Directions:Main St.(Crown Point)to 97th. East all the way to Harrison. Turn right(south). Home on right side.